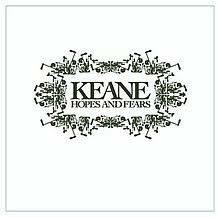 Prior to writing this, I was lounging on the couch contemplating a framed, signed, and now archaic, CD of Keane’s Hopes and Fears that hangs on my wall. I had bought it circa 2005, waiting in line for their show at the Electric Factory in Philadelphia. This reminiscence brought me a twinge of both joy and pain. I was reminded of the carefree hopes of my youth, that, as I get older, have been replaced with a more acute awareness of my fears. I’ve been ripe with existentialism these days, exacerbated by the death of several people close to me in the past year. In moments of trying to make peace with change and trying to understand the context of why we are here, I’ve thought deeply about how I want to live my life and what is important to me. In her book, The Places that Scare You, Pema Chodron makes reference to the Buddhist concept of groundlessness, equating it to floating in the middle of the ocean with no land in sight. When I first read that, it scared me! No one wants to be floating in deep seas with no lifeline. But as the past few months have unfolded, I’ve learned that whether I like it or not, life is exactly this metaphor. While I’ve understood this for some time on an intellectual level, the recent past has caused me to experience it on an intrinsic level. Where I’ve come to is that I can either let the waves crash above me or I can take a deep breath and relax into that uncomfortable middle space of unease and float. I have also dabbled in fearlessness — acknowledging fear, but moving past it to conquer it. I don’t think it’s possible, except maybe for a rare few, to be fearless all of the time, but my desire for myself and for others is that we look to approach life through the lens of hope instead of through the lens of fear. This entry was posted in meditated, music.